CoSchedule: Does It Live Up The Hype? CoSchedule is the most popular calendar that is suitable for professional marketers. No matter if you work in a small network or at a large corporate entity, CoSchedule is an application that can help projects big or small move along swimmingly without the need of excessive supervision. 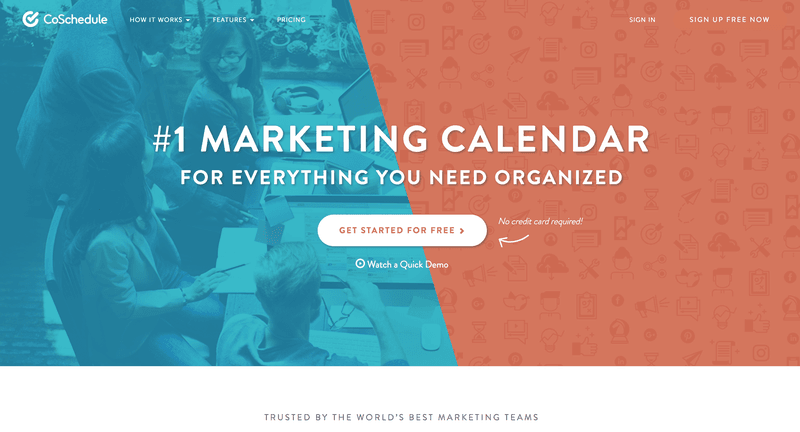 Elaborately designed and with much effort put into it, CoSchedule is essentially a marketing calendar that you can use in correlation with other popular web-based programs such as WordPress, FaceBook, Google Analytics, and many more. Do you already use a free program like Google Calendar? That’s not a problem. 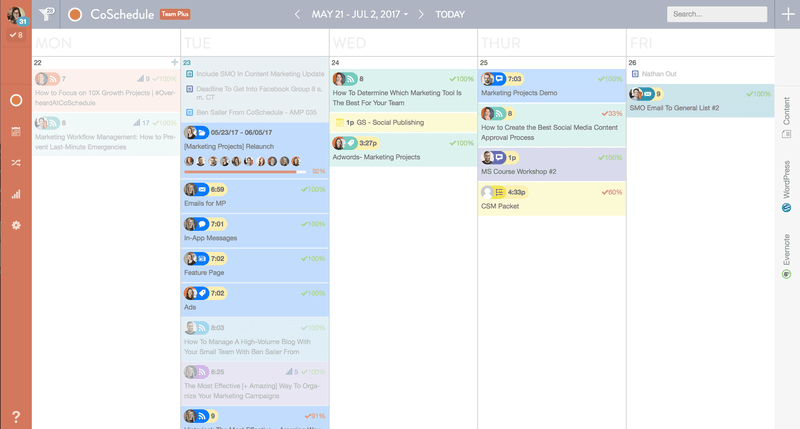 With CoSchedule, events can be merged with those from other calendar programs to make a very useful, yet still concise marketing calendar experience. CoSchedule is run from a cloud-based server that can enable individuals and groups to manage content, schedule appointments, set up deadlines and other tasks right from any desktop. But that’s not the best part. Any tasks you would like to do can be done right from CoSchedule itself! The idea is certainly amazing that you truly must try for yourself in order to believe. For many a networker, you may seem like an overworking individual that has just too many browser tabs and programs working at once. Not only might this overwhelm you, but also this overwhelms your desktop and thus everything slows down to a crawl, while you know that there’s a lot of work to be done. CoSchedule solves the neverending problem of condensing all of our online work (or at least as much as possible, considering compatibility with other programs) one just one browser tab. If there’s an assignment that needs to be done, just click it and you can do it! No more going back and forth to different tabs and programs, and no more getting lost on your own computer. It’s like living in a virtual office. CoSchedule is especially an essential tool for social media specialists whose jobs are to post content on every social media page you have and reply to customers when need be. If you also have to write blog posts every day, it is also definitely a thing you can do with CoSchedule. It can also save time and headaches by not needing to log back into certain accounts on different websites. When you do it with CoSchedule, do not expect anything more! Furthermore, you can enjoy speedy fast performance on your computer, which is the way that it should be. Keep your tabs and programs to a minimum and you can better concentrate on your jobs at hand. Our growing facebook group needs a lot of attention. Creating post in bulk allows us to actually pay attention to interacting with the group members! We’ve tried other social media scheduling tools like Buffer but they often do not post to Facebook groups. Since many of us are Freelancers and have client works, CoSchedule insures that our group does not suffer when we are busy. 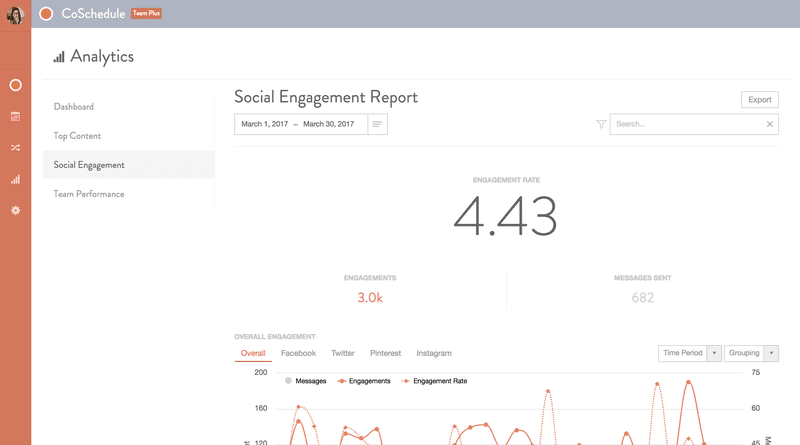 We are can use the analytics to track which campaigns are most successful within the group. 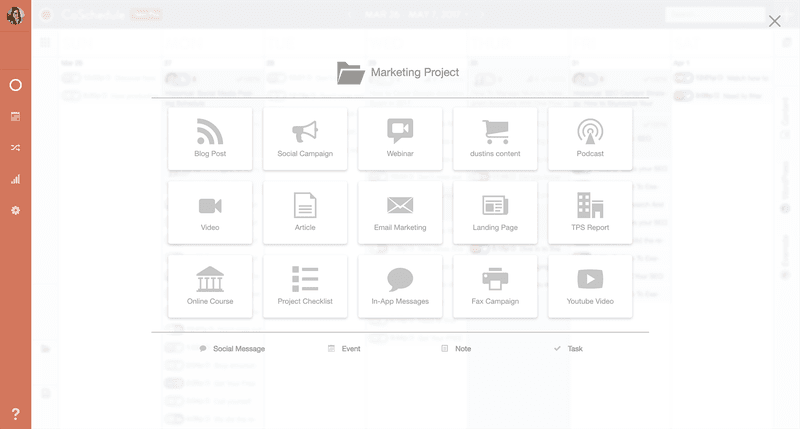 There are multiple reasons why CoSchedule easy to use, but let’s start with the interface. No matter how old you are or what your skill set is, you can easily see how to navigate through the program and do any task that you need to. The calendar is right in front of you, and you can easily see what’s on your plate along with other members of your group that are involved. The design aesthetic is also very pleasing to look at. With an orange sidebar and a pale blue header, both colors do the job well of stimulating your creative juices and keep you calm under pressure, respectively. With a font that is easy to read, you have an eye-pleasing screen that can help you get to work. You can customize the colors, in addition to change the size and font of the text, and it will not alter anyone else’s visual settings. Should You Start with CoSchedule? Depending on what you need CoSchedule for, you can pay around 15 to 30 dollars per month with a yearly commitment. That is up to 360 dollars per year that you may be required to pay. This is fairly pricey but worth it if you are managing a lot of social calendars. We strongly urge you to try before you buy, though. Get a free 14 day trial here! You can test CoSchedule with no restrictions and no credit card required. You have plenty of time to get used to the program in addition to see how well it works for your team before you decide on a pricing plan, or even it it’s just something to consider own the road. CoSchedule is definitely a must-own for businesses, and while there are some flaws to be had with it, like the occasional bug that appears, it puts your company and all of your members in a win-win situation. Ps. Do you have my productivity checklist? I wrote this awesome checklist for super productivity and you got to check it out. Feeling productive is one of the best feeling in the world, am I right? I build this checklist to ensure that feeling isn’t just an accident, you know what I mean? Use this productivity checklist to guarentee you’re killing it everyday! © 2019 Freelance Travel Network.